Okay, dummy. John Legere has been explaining Binge On to you for days, and you still don't agree with him that it's the best thing since sliced bread? Well, he's just going to tell you about Binge On again using the exact same words he's been using so far. These words are available on the T-Mobile newsroom site, where he can carefully craft an expletive-free message and apologize to the EFF. You can ready the whole post by Legere (and you should), but it's mostly the same stuff he has been saying. Legere claims T-Mobile believes in net neutrality and it's just trying to innovate. However, in explaining (again) how Binge On works, Legere avoids using the the word "throttling," which we know T-Mobile is doing. While Legere seems to like dancing around the topic, Tmo's PR folks are being more upfront. 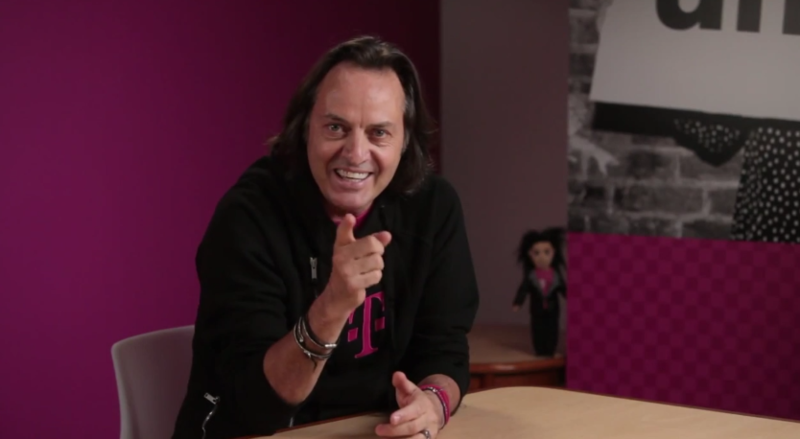 Legere says Tmo's system will "adjust all streams for a smaller/handheld device." According to the EFF, that means it throttles the connection speed to about 1.5Mbps, and I should point out it even throttles video file direct downloads (saving zero bandwidth and wasting your time). The fact of the matter is, non-partner streaming services aren't set up to provide a smooth DVD-quality video as Legere says. They just buffer more. He goes on to exclaim that T-Mobile chose to offer this service to everyone for free! Free! Why aren't you happy about this?! The misstep with the EFF was doing no favors for John Legere, so he closes the post by apologizing and promising to sit down with the EFF and talk about Binge On. At any rate, Legere doesn't appear to be backing down from the Binge On critics. He says people tell him they like it, and I'm sure that's true for a lot of customers. However, I'd wager they also wonder on occasion why their YouTube stream takes so long to buffer. To disable Binge On for your T-Mobile number, log into your account on the web, then go to "Profile" in the upper right corner. Open "Media Settings" and you'll see the Binge On toggle.